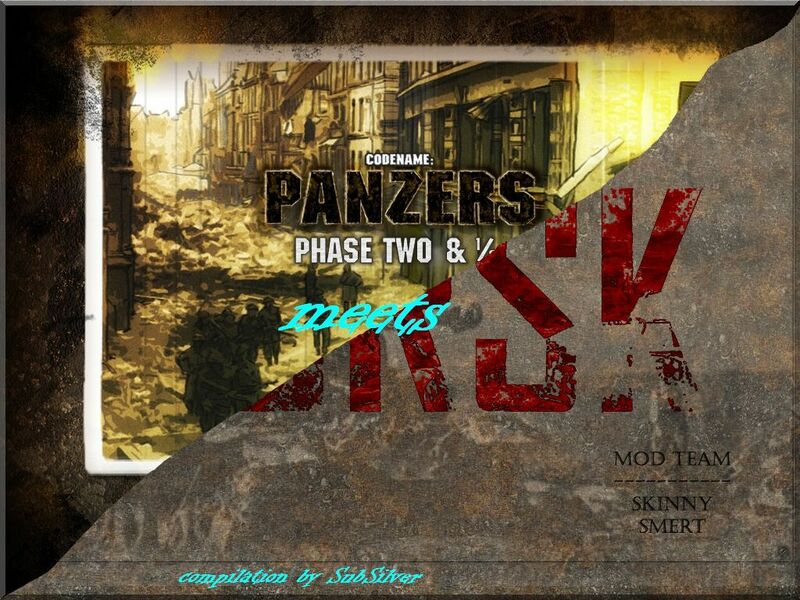 Panzers Phase Two and 1/2 is an awesome alternativ campaign by our grateful Panzers Veteran nightgambler. Bringing togehter the Camaign and missions from Phase Two and 1/2 and the realism of Kursk mod! For good gameplay expirience min difficulty of "Normal" recommended! -Installed and working "code name: Phanzers phase two"
No compatibilities with other MODs have been tested. If you have installed the Ardennenmod, GRANNY-mod, DAK-MOD or the like so these mods remove first. Copy the existing mod directories to a safe location, and then delete them in the \run-Verzeichnis. The existing game.ini you should also copy-ren and then delete. Run then above the instructions, as if no other mod you have installed. Congrats on the new mod SubSilver! this was an unexpected surprise. I have to say this is a very nice alternate version of Nightgambler's already superb Phase 2½ mod. Very enjoyable, well done sir!